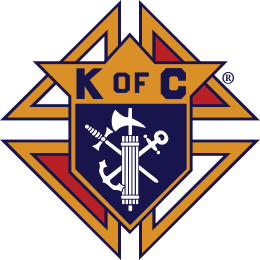 This April, the Knights of Columbus Ontario State Board is having the 116th Annual State Convetion April 26-28. Located at the Sheraton on The Falls. For Friday and Saturday rentals, the rental will be $500; for any other day of the week the rental rate will be $400. There is also a refundable $150 security deposit to book your event. We are a community organization located in the heart of Niagara Falls, Ontario, Canada. As a charitable organization we host many family friendly events. For example, our delicious spaghetti dinners are sure to bring out a crowd! Also, Our Columbus Club Hall, located on the upper level of the building, would be perfect for a Stag & Doe, an intimate Wedding Reception, or even a Baptism, Communion, Bridal or Baby Shower. This space features a full kitchen, bar and it's own washrooms. Click here for more information regarding the functional spaces we have available for you to rent. We hope you enjoy our site. Please contact us directly for any further information. We look forward to hearing from you!